Postpartum Support Group. Join this free group for new moms suffering from ‘baby blues,’ postpartum depression or anxiety. Share experiences, get support and learn about issues related to postpartum mood disorders, parenting struggles, suggestions on how to cope, professional referrals and more. Tuesdays, 9:30-11 am at Sharp Memorial Outpatient Pavilion (3075 Health Center Dr., San Diego) & every third Tues., 4-5:15 pm at Sharp Grossmont Hospital Women’s Center (5555 Grossmont Center Dr., La Mesa). Details at www.sharp.com. Rancho Bernardo Area Toddler Group. Socialize and get support from parents with little ones, ages 1-3, who love to play! The group meets weekly in various locations for fun outings. Families from Poway, Sabre Springs, Carmel Mountain Ranch, 4S Ranch and Mira Mesa are also welcome. www.meetup.com/rbareatoddlers. Expression Sessions. This interactive group provides an opportunity for children, ages 5-11, who have lost a loved one to work on different art projects each session and receive support during the grieving process. Group sessions are held down the hall from the Jenna Druck Center, part of their award-winning program, Families Helping Families. Second & fourth Thursday of the month. Please call or visit them to enroll your children. 2820 Roosevelt Rd., Ste. 200, San Diego. Visit www.jennadruckcenter.org; 619-294-8000. Seniors Computer Group of San Diego meets every Saturday from 9:30-11:30 am at Wesley Palms retirement community in Pacific Beach, 2404 Loring Street. Members help each other in learning how to get the most from their computers with demonstrations and hands-on instruction. Visitors always welcome at no charge. Members range from beginners to those who build their own systems. Learn more by visiting www.scgsd.org or calling 858 459 9065. San Diego Psychology Center's Social Thinking Groups for kids and adolescents with Asperger Syndrome, High-Functioning Autism and related challenges. Using the Super Skills Training Curriculum, students can learn positive social skills through play and perspective taking. Saturday mornings; times vary per age group. $40 per session. Call for details. 2870 4th Ave., Ste. 101, San Diego. 619-297-1750. The Mother's Circle. Meet other moms and their babies, learn and share valuable parenting advice, and find out how much breast milk your baby is getting with a pre- and post-feed weight. Latch, positioning and other breastfeeding assistance will also be offered by a registered lactation consultant. Wednesdays, noon-1:30 pm. Free. Baby Garten Studio, 2226 Fern St., San Diego. www.sdbfc.com. Survivors of Suicide Loss. Lost a loved one through suicide? This organization offers monthly meetings held throughout the county that can help you cope during this difficult time. Experience a caring environment where you can listen to other people’s stories, share your own thoughts and feelings, and help one another in finding hope and healing. For locations and schedule of meetings, go to www.SOSLsd.org. Bereavement Support Group. Lost a loved one? Learn to cope with grief through these sessions that offer comfort and encouragement. First Tuesday & third Friday of the month, 10-11 am. Free. For details, call or visit website. Scripps Memorial Hospital Encinitas, 354 Santa Fe Dr. www.scripps.org; 760-633-7784. Palomar Pomerado Health (PPH) Breastfeeding Support Groups. Tuesdays & Fridays, 1-2:30 pm at PPH Women’s Health Connection Boutique, Pomerado Outpatient Pavilion, 15611 Pomerado Rd., Ste 108, Poway; Thursdays, 11 am-12:30 pm at First United Methodist Church, 341 South Kalmia St., Escondido. Free. 858-613-6110. OceansideMommies.com. Join a free, online community for moms in North San Diego County (a chapter of non-profit organization, The Mommies Network) where you can connect with other local mothers, share information (on anything and everything – from tips on feeding picky eaters to the best place for kids’ haircuts) in private forums and meet up at member-driven events. Warrior Traditions. This free program by Veterans Village of San Diego consists of off-base, confidential support groups for Active Duty, Reserve, National Guard and recently separated combat veterans of Iraq and Afghanistan, that lets them share their experiences and discuss any issues they may have related to their service. Spouses and significant others are welcome to participate. Mondays at Libby Lake Community Center, 4700 North River Rd., Oceanside & Thursdays at Veterans Museum & Memorial Center, 2115 Park Blvd., San Diego. 7-9 pm. Also offering Spouse Night for the loved ones of Iraq and Afghanistan veterans. First & third Tues. of the month, 7-9 pm. www.vvsd.net/warrior.htm; 619-393-2084. Are You a Breast Cancer Survivor? Join this support circle and share personal experiences, gain support and meet other people who are in the same situation. English-speaking group meets every first & third Tuesday of the month, 5:30-6:30 pm; Spanish-speaking group meets every second & fourth Monday of the month, 6-7 pm. Vista Community Clinic’s Health Promotion Center, 846 Williamston St. 760-631-5000, ext. 7167. A.D.H.D. & Behavioral Support Group. Parents and caregivers of children with cognitive and behavioral disorders are invited to join this support group that meets every second & fourth Thursday of the month, 6:30 pm. Free. Skyline Church, Rm. 410, 11330 Campo Rd., La Mesa. 619-660-5000 or 619-885-8315. Breast Cancer Patient Education & Support Group. Fourth Wed. of the month, 2-3:30 pm. Moores UCSD Cancer Center, Rm. 2007, 3855 Health Sciences Dr., La Jolla. For details, call 858-822-6201. Postpartum Support Groups. Have the “baby blues?” Meet other moms with the same feelings and fears that you’re currently experiencing. Visit www.postpartumhealthalliance.org for information about support groups in Clairemont, Kensington, La Jolla, La Mesa, Serra Mesa and Sorrento Mesa. Most of the support groups are free. Need resources about postpartum depression? Call the Postpartum Health Alliance at 619-254-0023. NAMI Connection. The National Alliance on Mental Illness offers this weekly support group for adults that presents a relaxed approach to sharing the challenges and triumphs of coping with mental illness. Thursdays, 6-7:30 pm. Free. 4480 30th St., San Diego. www.namisandiego.org; 619-543-1434. Lung Cancer Support Group. Third Wed. of the month, 11 am-12:30 pm. Facilitator: Steven Hickman, PsyD. Moores UCSD Cancer Center, Rm. 3106, 3855 Health Sciences Dr., La Jolla. 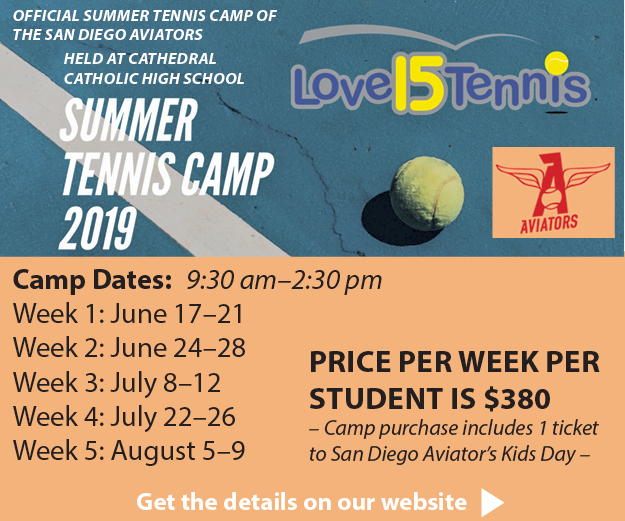 For details, call 858-822-6868. Postpartum Support Group. Join this free group for new moms suffering from ‘baby blues,’ postpartum depression or anxiety. Share experiences, get support and learn about issues related to po . . .
By some counts, San Diego’s foster youth are in crisis. Each month, 150-200 children enter the foster care system for the first time, and approximately 7,500 children go through the system each year . . .